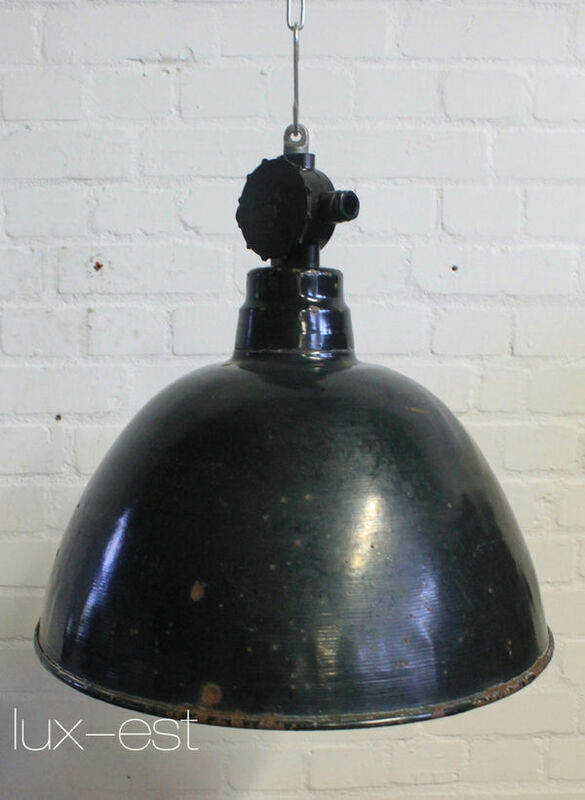 There were produced three different sizes of this kind of industrial factory lamp, this is the large size L.
Cleand. Tested. Signs of use.